Please join us in welcoming 5 new tigers to our family! 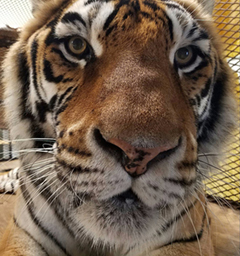 Bana Bibi, Mugale, Rani, Shival and Sultan are are additional tigers from the CO facility, from which we have already brought home several other tigers and leopards, and helped relocate other cats to their new homes in other sanctuaries. 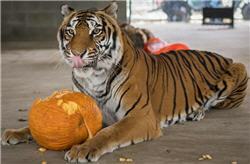 They are 4 females and 1 male (Sultan is the male), and all 5 will be in quarantine in our vet clinic for now. They have access to inside runs inside the heated building, and also access to outside runs for some fresh air. This album also shows how we transport animals, if you’re curious! This is an enormous undertaking and the cooperation and generosity of the animal sanctuary community cannot be overstated. 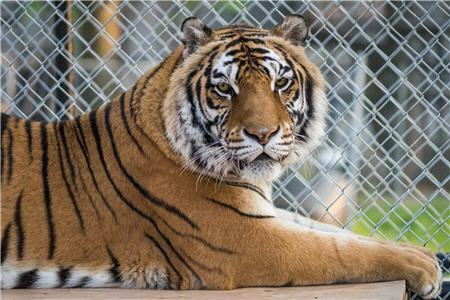 This is an unprecedented showing of sanctuaries working together to make sure no big cat or exotic animal will be left behind. 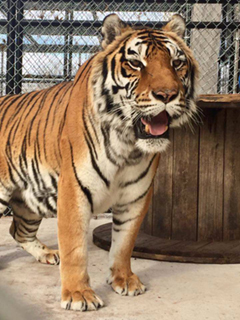 We are honored to be able to provide these beautiful tigers with their new home. Thank you all!